When Alon Balshan left Israel, he was 25 years old and his bank account—which was his pocket—contained 500 American dollars. “My money was running out really fast, especially in New York City,” he says, so he started asking around for jobs. On his resume: culinary school and some pastry chef experience. 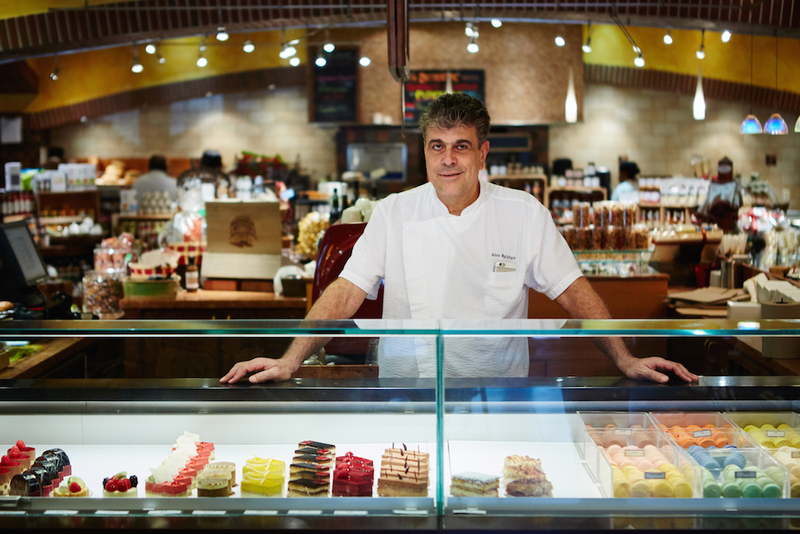 Eventually Balshan made his way south, and in 1992 he opened Alon’s, a 1,300-square-foot bakery in Morningside selling his own breads, pastries, and chocolates. The business expanded to include a market—nowhere else at the time could Atlantans purchase Edmond Fallet Dijon mustard, marinated anchovies, Muscadet wine, and prepared egg salad under one roof—and then again expanded to a second location in Dunwoody in 2008. Now 56 with 170 employees, Balshan is celebrating 25 years of Alon’s Bakery & Market this month. He reflects on his time in the South—where he has spent more of his life than in his home country—below. I took my backpack and [boarded a plane with] a one-way ticket at 11 o’clock at night. I held a sign with my name on it, and he picked me up from the airport. The next morning I was working at Engelman’s Bakery. I’d never heard about Atlanta before, but it was kind of exciting. I’m an adventurous kind of person; I enjoy going with the flow. Here, I came to real America. New York, to me, is not real America—it’s kind of everybody from everywhere. You can live there for 20 years and if you’re [from Spain], you can speak Spanish the whole time and you’ll be fine. Atlanta was real America. I felt, “this is how Americans live,” and I enjoy that. Why did you leave Israel in the first place? What were you looking for? I think the idea of coming to America was always in my head. I remember growing up, the adults would say, “Oh, you go to America. Money is rolling in the streets.” I think I took it very literally. I was like, “Oh my God, by the time I’m old enough to go, there’s not going to be any money left!” I really wanted to try it, and my dream was to be an entrepreneur. What do you miss about Israel? I grew up in a house where everything was cooked from fresh ingredients. Cans were not available in our house. I used to go to the market, get a chicken, have it slaughtered, and bring it home. Only when I moved here did I understand what quality of life I had as far as food goes. Produce in Israel is some of the best around. Moving back at some point kind of disappeared from the radar because you build a life over here; I’ve got a daughter who’s 20, and I’m married to an American. Life is still financially very difficult in Israel. Everything is very expensive. America has been the land of opportunity, by all means. At the time when I went [to culinary school], being a cook was kind of embarrassing to admit. It was not a glamorous job. It was just . . . you’re taking food and serving it to people because you can’t do anything else. It took some time to really decide if I want to do it [as a career]. Were your parents disappointed when you decide to go for it? Like every good Jewish mother, mine wanted me to play violin and be a doctor. Yes, my mother was not happy. “What? You’re going to be a cook? What kind of career is that? What are you going to do?” But I felt very strongly about it. Plus, I wasn’t the type of guy that was going to sit in a college classroom. It just wasn’t me. 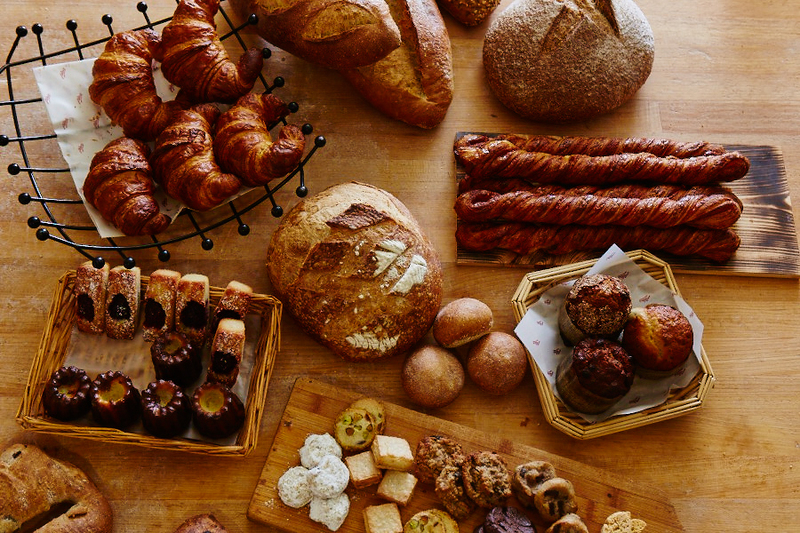 What made you want to open your own bakeshop? Before anything, I’m a pastry chef. I wanted to open a pastry shop and make amazing desserts, and I wanted to sell coffee. Some of that goes back to where I grew up. [When I was a kid,] the bakeries in Israel were mostly owned by older Europeans, who, due to the Holocaust, had come to Israel. There were a lot of very skilled, very good pastry chefs. When I came to Atlanta, I saw a bare land. I saw a place that had no idea what good bread was. So I wanted to bring that experience. In Israel, we have streets like Paris, where there are a bunch of coffee shops and you just sit on the street. You order a cup of coffee, you get a pastry with it. There wasn’t a single place like that when I got here. Since then, I’ve seen an incredible growth in Atlanta. 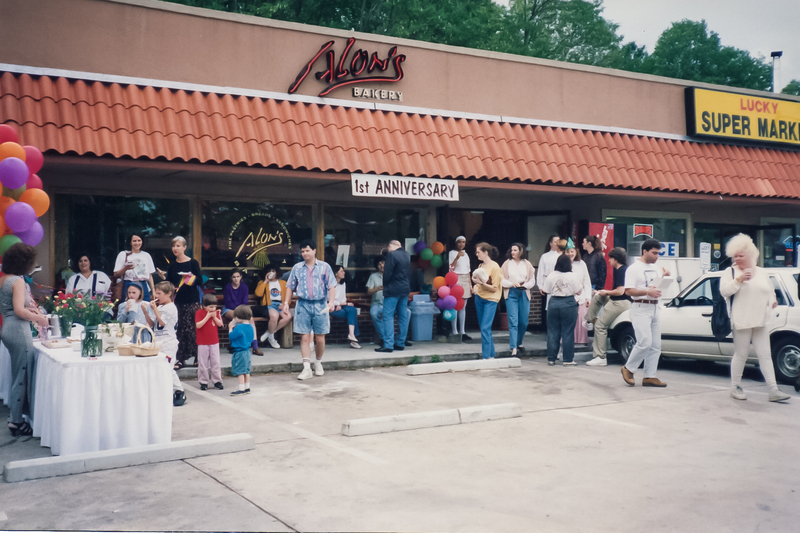 Alon’s will host an anniversary celebration on Sunday, May 7, from 2 to 6 p.m. at its Morningside location.